The people of Beloit always roll out the red carpet for those attending the annual Beloit International Film Festival (BIFF), this year scheduled for Feb. 20-March 1. For 2015, BIFF’s 10th anniversary, the Visit Beloit BIFF Weekend Getaway means that somebody will get a truly royal treatment. The winner receives a two-night stay at Beloit’s Ironworks Hotel, a $100 gift card for Merrill & Houston’s Steak Joint, and two Golden Passes to the fest, for Feb. 20-21. Open your e-magazine now to learn more about the Beloit International Film Festival. 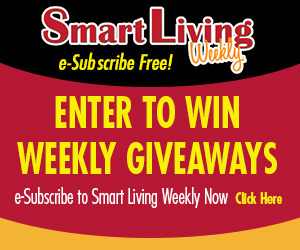 Congratulations to Brenda Ronbinson, of Rockford, this week’s Smart Living Weekly giveaway winner! Brenda takes home a $50 gift card to Pearl Bistro, in Rockford. Next week’s giveaway is a $50 gift card to Merrill & Houston’s Steak Joint, in Beloit. Enter now by visiting northwestquarterly.com/contest. This entry was posted on Wednesday, January 28th, 2015 at 5:00 am	and is filed under News & Events, Smart Living Weekly. You can follow any responses to this entry through the RSS 2.0 feed. Both comments and pings are currently closed.